In this very grand composition Raphael has summed up all the elements present in the best of contemporary painting. 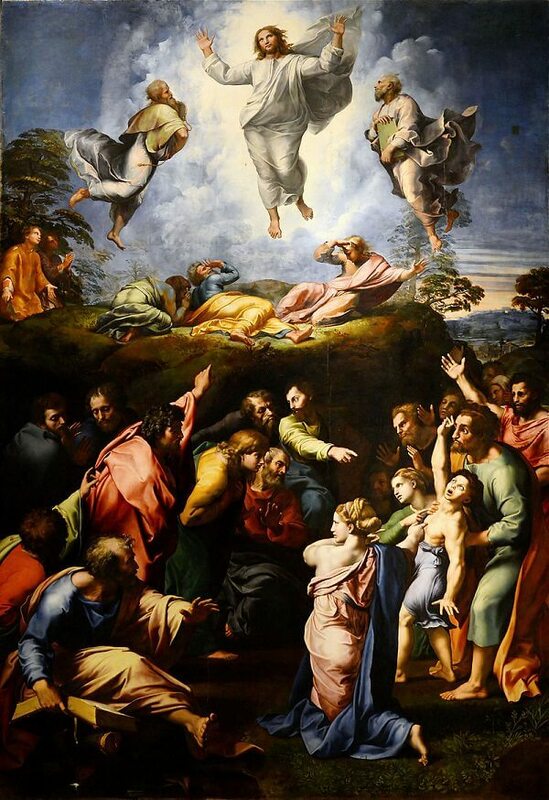 Light and its effects are a dominant pictorial theme of The Transfiguration. Its blinding force overwhelms Peter, James, and John on the mountaintop, but a second light picks out heads and hands, a gesture or a bit of garment, from deep black recesses. The Transfiguration, with its exceptional and complicated light, was for Caravaggio and his enormous following in the seventeenth century what Michelangelo's Doni Tondo and Leonardo's The Battle of Anghiari had been for sixteenth-century painters.